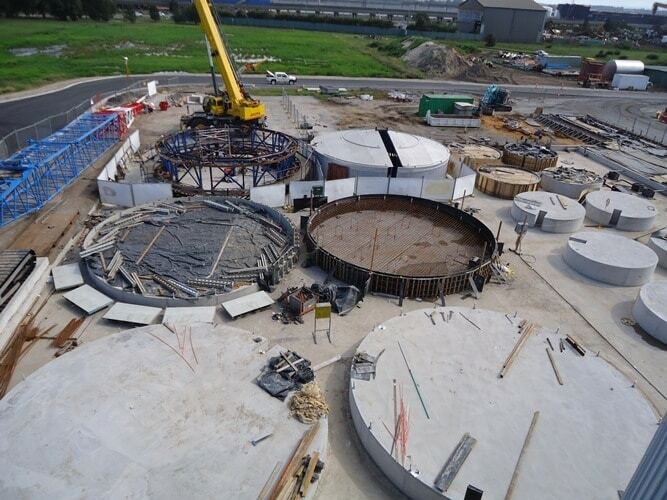 Abergeldie completed construction of foundations, footings, service roads and service connections to support a major expansion of Cargill’s oil seed refinery tank farm at Kooragang Island on the Hunter River. The works included construction of 2000m² of concrete slab foundation for oil storage vessels with over 6500 tonnes of storage capacity, and an additional 450m² slab foundation for a load out facility. 2800 m² appox. of additional drainage and roads connecting the packaging facility to the primary access road cater for increased tanker movements. Project Nino allows for increased capacity to manufacture vegetable oils and protein meals which are supplied to local and export markets. Cargill Australia is very happy with the quality of the end product.